What better way to start your day than by dining with your favorite cartoon characters? This summer at Silver Dollar City, you can enjoy a hearty and delicious breakfast with some of animation’s biggest stars including: Michelangelo & Raphael of the Teenage Mutant Ninja Turtles on June 16; Scooby Doo & Shaggy on July 7; and SpongeBob SquarePants & Patrick on July 28.This interactive start to the day will be keep the kids happy and take the stress out of your morning making it an all-around crowd pleaser. Waking kids up early in the morning is a job few like to do. But tell the kids that they get to go eat breakfast with cartoon characters come to life, and they’ll be out of bed and ready to go before you can say “Silver Dollar City.” Watch your child’s eyes twinkle as they get to talk to and take a picture with their favorite character. Have a picky eater in your midst? This unending breakfast will have something to make even the pickiest of eaters rejoice. 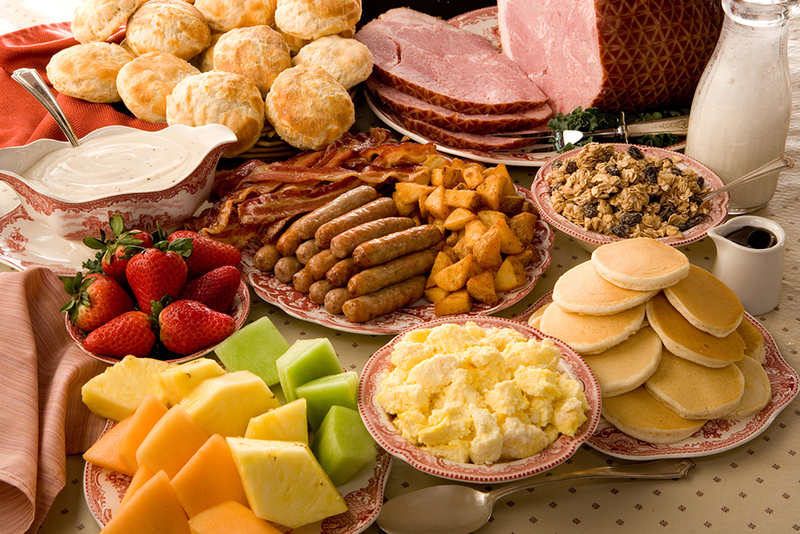 With an all-you-can-eat buffet, complete with pepperoni pizza, biscuits and gravy, scrambled eggs, bacon, sausage links, chicken strips, hash browns, fruit, juice, milk, and more, your family will be feasting until their hearts are content! Getting the family up and around to spend the day at the park can be quite the task. Add trying to feed – and please – everyone on top of that, and it’s nearly impossible to get out the door on time. Let us take the stress, and mess, out of your morning! Come to a character breakfast and all you have to do is show up and have a good time. Say so long to the mountain of dirty breakfast dishes and hello to a steaming hot cup of joe. With tickets to this summer’s best breakfast buffet, not only will you have your kids thanking you for this magical start to the day, but you’ll be thanking yourself for cutting the stress out of your morning. Book your tickets now to get breakfast with the Teenage Mutant Ninja Turtles' Michelangelo & Raphael, Scooby Doo & Shaggy or SpongeBob SquarePants & Patrick! *2018 Season Pass must be presented upon arrival.